If you are trying to make money in the stock market, you need to understand how to profit from the spike in natural gas prices during the winter season. Natural gas is one of the most volatile commodities that trades in the futures markets. Traders can take advantage of natural gas’ volatility and seasonal price swings to make money on both the long and short side, as natural gas spikes upward going into the winter and then falls in price once winter is over and warm weather arrives. Those seeking to make money in the stock market can put the volatility in the natural gas markets to work for them by buying Exchange Traded Funds (ETFs) that are valued based on the price of natural gas futures. Both long and short natural gas tracking Exchange Traded Funds are available, including leveraged Exchange Traded Funds that allow a trader to maximize a long or short natural gas trading position in anticipation in a move in natural gas prices either higher or lower. What is really intriguing about trading natural gas Exchange Traded Funds is that natural gas prices tend to follow a season trading pattern, which makes it relatively easy to pick buy and sell levels to profit from seasonal fluctuations in natural gas prices. While the seasonal natural gas trade does not always work out as expected, since there are so many variables that affect natural gas prices, the averages are in the favor of natural gas traders that buy and sell natural gas Exchange Traded Funds t certain times of the year following established seasonal trading patterns. This means that a trader’s chances of profiting from the natural gas trade are much better than just guessing which direction natural gas will trade in over the next few months. The following is an example of the typical seasonal pattern of natural gas prices follow during a typical winter season and how to trade the natural gas price spike that normally occurs during a typical winter. There is a distinct pattern to natural gas prices when cold air arrives as expected in November and natural gas storage injections turn into storage withdraws, as demand for natural gas for heating picks up. Natural gas will typically trend downward during the early part of the fall season, as storage injections continue because the air over most of the United States is not yet cold to cause a surge in heating demand for natural gas. Sometime in November, usually during the first half of the month, the weather turns cold enough in the United States to cause an uptick in heating demand. At this point, natural gas starts its long winter withdraw season and the price of natural gas typically responds by stabilizing and eventually moving higher. To successfully trade the winter spike in natural gas prices, it is important to build a long position in natural gas as the price bottoms during the fall. If the weather turns colder than usual in November and natural gas supplies are tight, the price move higher in natural gas can be fast and substantial. Further moves higher in the price of natural gas during the late fall and winter season depend upon how cold the late fall and winter winds up being. Of course, if winter is delayed and the cold air does not arrive as expected, natural gas can remain flat or fall in price, as demand for heating is less than anticipated. If you are looking to go long natural gas to take advantage of the winter price spike, the following natural gas Exchange Traded Funds can be purchased to obtain long exposure to natural gas futures, in anticipation of an increase in natural gas prices during the winter heating season. 1X Natural Gas Long ETF (least risky): The United States Natural Gas (NYSE: UNG) provides the most conservative way to play natural gas on the long side, since it is designed to increase on a one to one basis (1X) in conjunction with natural gas futures contracts. 2X Natural Gas Long ETF (somewhat risky): The ProShares Ultra DJ-UBS Natural Gas (NYSE: BOIL) is an ETF that provides a way to hold a long position in natural gas that increases at approximately two times (2X) the value of natural gas futures contracts. 3X Natural Gas Long ETF (most risky): The VelocityShares 3x Long Natural Gas ETN (NYSE: UGAZ) is the most risky of the three long natural gas ETFs included in this article, and also potentially the most profitable. While it is designed to return three times (3X) the daily performance of natural gas futures contracts, its three times (3X) leverage makes it risky if natural gas futures unexpectedly go down during the winter. Once the coldest of the winter weather has passed, it is time to start considering building a position in natural gas on the short side. The warmer weather coming out of winter often leads to a sell-off in natural gas futures, which causes inverse natural gas Exchange Traded Funds to increase in price. The full effect of the seasonal sell-off in natural gas futures and most dramatic increase in natural gas short Exchange Traded Funds is often felt later in the summer and early in the fall, as natural gas supplies are rebuilt. 2X Natural Gas Short ETF (somewhat risky): The ProShares UltraShort DJ-UBS Natural Gas Fund (NYSE: KOLD) is an ETF that provides short exposure to natural gas futures at an approximately two times (2X) rate. When natural gas futures drop in price, KOLD is designed to increase by double the percentage drop in the near-term futures contracts. 3X Natural Gas Short ETF (most risky): The VelocityShares 3x Long Natural Gas ETN (NYSE: DGAZ) is an ETF that provides the most aggressive and risky way to play natural gas futures on the short side. DGAZ is designed to change in value by three times (3X) the daily performance of natural gas futures contracts. With natural gas hitting five-year highs above $5.75 per million British thermal units (MMBtu), many traders are asking how to short natural gas and profit. 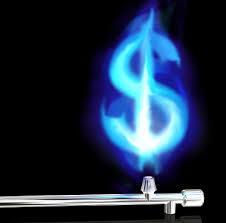 There are a number of ways to short natural gas and profit from a future decrease in natural gas futures prices. Not all of the natural gas short plays have the same amount of risk; and therefore, traders looking to profit from a decline in natural gas futures prices need to understand the different ways to go short natural gas. To fully understand the risk and rewards associated with shorting natural gas, traders also need to understand that there is more to changes in natural gas prices than simply seasonal changes in temperatures. Natural gas price action is often strongly affected by seasonal natural gas trading patterns that provide two opportunities to short and profit from drops in natural gas prices. The two seasonal opportunities for making money on natural gas on the short side are the spring and fall shoulder seasons. The spring shoulder season takes hold at some point during the middle of winter to the middle of spring, as demand for natural gas lessens and the natural gas injection season takes over. The fall shoulder season takes hold at some point during late summer or early fall, as demand for natural gas lessens after summer heat wanes and the natural gas injection season is in full swing. It is important to understand that shorting natural gas ahead of either of the two shoulder seasons is not a slam dunk profitable trading opportunity. Abnormal weather patterns, natural gas demand, and natural gas storage levels can affect the onset and outcome of the shoulder seasons. For example, the winter of 2012/2013 was not abnormally cold, and by the end of February natural gas stood at a price in the $3.90 MMBtu area, which is not elevated by any means and did not provide a good shorting opportunity. March and April 2013 were abnormally cold months, one of the coldest first halfs of spring on record for many parts of the eastern two-thirds of the United States. This caused natural gas futures prices to increase approximately 18% to the $4.60 MMBtu area by the end of April 2013, a time when natural gas is typically descending in price due to seasonal factors. Warm weather finally arrived in May 2013, and natural gas prices responded by dropping back to the $3.70 MMBtu area by the middle of summer. 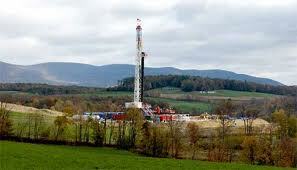 While money could be made shorting natural gas during the 2013 spring shoulder season, the onset was delayed by two months, which required a multiple-month trading commitment to make money shorting natural gas. For the 2014 spring shoulder season, the concern is both natural gas storage levels and the possibility that the very cold winter weather will last into the early spring. 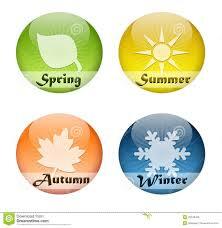 The winter of 2013/2014 has been the coldest winter in twenty years for the eastern two-thirds of the United States. This has caused natural gas storage levels to drop quickly, as two record storage withdrawals were recorded during the 2013/2014 winter. Natural gas prices responded by shooting above $5.00 MMBtu during February 2014, with a peak in the neighborhood of $5.75 MMBtu. While this seemingly provides a good opportunity to profit from natural gas by shorting it going into the spring shoulder season, caution is advised. With weeks of winter left and only tepid signs that the cold wave is abating, additional large natural gas storage withdrawals could cause natural storage levels to fall to such an extent that market participants worry about whether enough natural gas will be available for the following winter season. This, along with any cooler than normal early spring weather that may materialize, could cause natural gas prices to increase in the early part of the spring shoulder season, and could create a short-squeeze that sends natural gas prices much higher. Conversely, if warm weather arrives sooner than expected and the spring season comes with normal warm weather temperatures, then demand for natural gas will decline, and the price of natural gas should fall, creating an excellent opportunity to short natural gas and profit, as the price of natural gas falls. 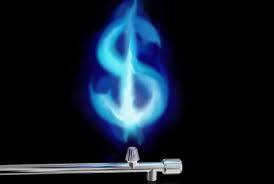 There are several different ways to short natural gas and profit. 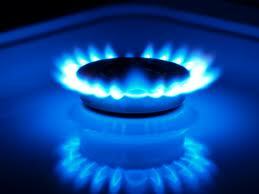 The purest way to short natural gas is by buying put options on natural gas futures contracts. 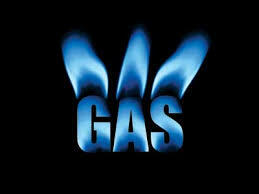 This provides direct exposure to natural gas price changes. If natural gas futures contracts fall in price, put options will increase in price. For traders that do not engage in buying put options, they can establish a short position in natural gas by either shorting long-oriented natural gas futures Exchange Traded Funds (ETFs) or by buying short-oriented natural gas futures ETFs. These ETFs come in a variety forms, with exposure on the long and short side at one to three times the movement of natural gas futures. The advantage of going short natural gas by shorting long-oriented natural gas futures ETFs is that ETFs that derive their value from futures contracts often experience price decay over time, as they have to continuously replace their positions in futures contracts as the front-month contracts expire, which can cause them to lose small amounts of money each time they have to roll over into a new front-month futures contract. Shorting long-oriented natural gas futures ETFs takes advantage of this price decay by increasing the downside potential verses short-oriented natural gas futures ETFs. However, it can be difficult to find long-oriented natural gas futures ETFs shares to short, and if the trade goes in the opposite direction as anticipated, a trader may be hit with a margin call, as the long-oriented natural gas futures ETFs increase in value. The advantage of going short natural gas by buying short-oriented natural gas futures ETFs is that they are easy to buy. The following is a list of long-oriented natural gas futures ETFs that can be shorted to profit from a decrease in the price of natural gas futures contracts. 1X Natural Gas Long ETF: United States Natural Gas (NYSE: UNG) is a one times (1X) long natural gas ETF. 2X Natural Gas Long ETF: ProShares Ultra DJ-UBS Natural Gas (NYSE: BOIL) is a two times (2X) long natural gas ETF. 3X Natural Gas Long ETF: VelocityShares 3x Long Natural Gas ETN (NYSE: UGAZ) is a three times (3X) long natural gas ETF. The following is a list of short-oriented natural gas futures ETFs that can be purchased to profit from a decrease in the price of natural gas futures contracts. 2X Natural Gas Short ETF: Horizons BetaPro NYMEX Natural Gas Bear Plus ETF (OTC Pink: HBNND) is a two times (2X) short natural gas ETF. 3X Natural Gas Short ETF: VelocityShares 3x Long Natural Gas ETN (NYSE: DGAZ) is a three times (3X) short natural gas ETF. Natural gas futures experience unique seasonal trading patterns that provide profitable trading opportunities. The key to making money from seasonal natural gas trading patterns is to identify the historical trend directions that natural gas futures move in during different times of the year. Once identified, sensible natural gas trades can be made based on the historical trading patterns, with some additional input regarding the long-term weather outlook and the natural gas supply and demand backdrop. The historical trends provide trading guidance, while the long-term weather outlook and the natural gas supply and demand dynamics provide clues regarding when to make natural trading buys and sells, and how much risk to take when entering a natural gas trade. The following are the four seasonal natural gas trading patterns that provide opportunities to make money trading natural gas futures or Exchange Traded Funds (ETFs) that derive their value from natural gas futures prices. Keep in mind that these seasonal trading patterns do not always play out as expected, due to the many factors that affect natural gas prices; however, more often than not, the seasonal natural gas trading patterns do occur as expected and provide money making opportunities for those that trade natural gas. 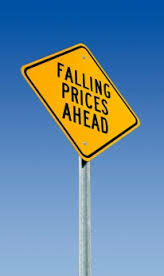 Mid to Late Fall to Mid-Winter / Early Spring (Up Trend) – Natural gas futures typically bottom out in price during the middle to late fall in October or November, and then begin a long up trend in price, as cold weather takes hold, which causes demand for natural gas that is in storage for the heating season. If the weather is colder than normal and/or natural gas supplies are tight, then the up trend can be quite significant. Mid-Winter / Early Spring to Early Summer (Down Trend) – Natural gas futures typically top out in price during the middle to late winter, anywhere from January to March, depending upon when the coldest weather occurs and how much natural gas is in storage to meet heating demand. Natural gas then enters the first “shoulder season” during the spring, as demand slackens and producers start to inject natural gas into storage. Natural gas prices typically fall during the spring, as demand is weak and supply is plentiful, although the month of April is known to buck this trend as natural gas prices often rise in April, due to the rush to refill depleted storage. Early to Mid-Summer (Up Trend) – Natural gas futures typically bottom out in price during the early to middle part of the summer season and begin an up-trend, as demand for natural gas increases from utility customers that use it to generate electricity to meet electricity demands from customers trying to cool their dwellings. However, the summer has to be hotter than normal across a good portion of the continental United States to cause a significant increase in natural gas futures contracts during this timeframe. Late-Summer / Early Fall to Mid to Late Fall (Down Trend) – Natural gas futures typically peak during the hottest part of the summer, during the months of July or August, and then begin a down-trend as the second “shoulder season” occurs during the fall. Demand for natural gas is typically weak during this time period and supplies are abundant, which causes natural gas prices decrease until winter heating demand kicks in during the mid to late fall and the cycle starts over again. The following is a list of ETFs that can be utilized for trading natural gas futures on the long side, when natural gas prices are expected to increase. 1X Natural Gas Long ETF: United States Natural Gas (NYSE: UNG) is a one times (1X) ETF that invests in near-month natural gas futures contracts that trade on the NYMEX, which are contracts for the month that is set to expire at the next expiration date and are usually the most actively traded futures contracts. 2X Natural Gas Long ETF: ProShares Ultra DJ-UBS Natural Gas (NYSE: BOIL) is an ETF that is designed to deliver daily returns that are two times (2X) the daily performance of the Dow Jones-UBS Natural Gas Sub-index. 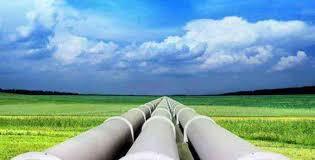 The index derives its value from natural gas futures contracts traded on the NYMEX. 3X Natural Gas Long ETF: VelocityShares 3x Long Natural Gas ETN (NYSE: UGAZ) is an ETF that is designed to deliver daily returns that are three times (3X) the daily performance of the S&P GSCI Natural Gas Index ER, which is based upon natural gas futures contracts. The following is a list of ETFs that can be utilized for trading natural gas futures on the short side, when natural gas prices are expected to decrease. 2X Natural Gas Short ETF: Horizons BetaPro NYMEX Natural Gas Bear Plus ETF (OTC Pink: HBNND) is an ETF that is designed to replicate two times (2X) the inverse of the daily performance of the NYMEX natural gas futures contract for the next delivery month. It is a United States based security that derives its value from Canada based security that trades on the Toronto Stock Exchange under symbol HND.TO. 2X Natural Gas Short ETF: ProShares UltraShort DJ-UBS Natural Gas Fund (NYSE: KOLD) – The fund seeks to deliver twice (2X) the inverse return of the daily performance of the Dow Jones-UBS Natural Gas Subindex, which derives its value from natural gas futures contracts traded of the NYMEX. 3X Natural Gas Short ETF: VelocityShares 3x Long Natural Gas ETN (NYSE: DGAZ) is an ETF that is designed to deliver daily returns that are three times (3X) the daily performance of the S&P GSCI Natural Gas Index ER, which is based upon natural gas futures contracts. Seasonal natural gas trading strategies are fairly reliable, but can be affected by unanticipated supply and demand pressures in the natural gas futures markets due to unseasonable weather that either increases or decreases demand, changes in the economy, and changes in natural gas supply. Therefore, traders should be aware of the risks associated with trading ETFs that derive there values based on natural gas futures, and understand that considerable losses can be incurred if a natural gas seasonal trade does not work out as expected. In particular, leveraged ETFs that move at two or three times the amount of the underlying natural gas futures contracts are susceptible to large price swings. Natural gas ETFs should only be used for short-term trading, rather than long-term investing, since the futures markets can affect long-term performance and returns of these ETFs in a negative way. Investing in frontier markets offers an opportunity for investors to cash in on the fastest growing economies in the world. While the past decade has been a rough ride with a major economic recession and stock market crash during 2008 and 2009, taking a longer-term view, the global economy nearly doubled from $37 trillion in 2003 to $73 trillion in 2013. Quickly developing frontier and emerging markets provided most of the growth during this ten-year period, as developed economies stagnated and provided low single digits growth, at best. This trend is expected to continue for at least the next ten years, which means investors that want to capture the fastest growth in the world economy need to figure out how to invest in frontier and emerging markets. 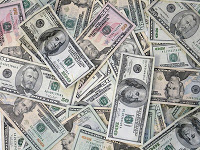 While the emerging market BRIC countries (Brazil, Russia, India and China) have been the focus of many investors looking to invest in high growth economies, more recently frontier economies that ING Investment Management have coined PIVOTS countries (Peru, Indonesia, Vietnam, Oman, Turkey, and Sub-Saharan Africa) have become the primary focus of investors seeking the highest rates of economic growth in the world. ING Investment Management predicts that frontier market PIVOTS countries will lead world growth in coming years and provide exceptional potential for investment returns. There are several ways to invest in frontier market PIVOTS countries or frontier markets more broadly, which are outlined below. Investing in individual stocks of companies in frontier markets is not advised, since the countries’ equity markets are not necessarily fully developed or well regulated, and direct investments in frontier market equities can be risky, costly, and difficult. 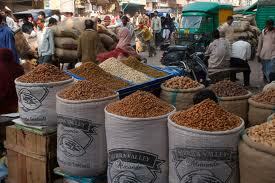 The best way to invest in frontier markets is via exchange traded funds (ETFs) or mutual funds. These funds focus on specific frontier market economies or regions, and invest in companies that derive a significant portion of their revenue from frontier markets. It is best to let investment professionals that manage ETFs and mutual funds for a living figure out which frontier market securities make sensible high growth investments. 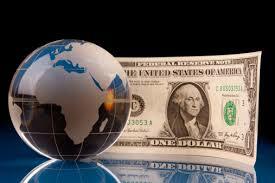 The following are some funds that can be used to invest in PIVOTS frontier market economies. iShares MSCI All Peru Capped (NYSE: EPU) – This Peru focused fund invests in Peruvian equities to provide investment results that correspond generally to the price and yield performance of the MSCI All Peru Capped Index. The index is designed to measure the performance of Peruvian equity securities, as well as securities of companies that are headquartered in Peru and have the majority of their operations based in Peru. Market Vectors Indonesia Index ETF (NYSE: IDX) – This ETF invests in securities of Indonesian companies included in the Market Vectors Indonesia Index. Companies included in this index are either incorporated in, or generate at least 50% of their revenues, or maintain at least 50% of their assets in Indonesia. Market Vectors Vietnam ETF (NYSE: VNM) – The Market Vectors Vietnam ETF seeks to replicate the price and yield performance of the Market Vectors Vietnam Index. Companies included in this index are either incorporated in, or generate at least 50% of their revenues, or maintain at least 50% of their assets in Vietnam. PowerShares MENA Frontier Countries Portfolio (NASDAQ: PMNA) – There are currently no ETFs that are dedicated exclusively to investing in Oman. However, the PowerShares MENA Frontier Countries Portfolio ETF (PMNA) invests in several Middle Eastern and North African countries, including Oman. Oman based or revenue generating companies make up approximately 10% of the PMNA ETF. iShares MSCI Turkey (NYSE: TUR) – This ETF invests in companies that are included in the MSCI Turkey Investable Market Index. The ETF holds stocks and depositary receipts of companies in the tracking index, and provides wide exposure to the Turkish economy via its equity holdings. iShares MSCI South Africa Index (NYSE: EZA) – The most direct way to expose an investment portfolio to Sub-Saharan Africa via an ETF is the iShares MSCI South Africa Index ETF (EZA). The ETF tracks the MSCI South Africa Index, which includes stocks traded primarily on the Johannesburg Stock Exchange. Although the companies represented by these stocks trade on the. Johannesburg Stock Exchange, their business operations extend far outside of South Africa and into Sub-Saharan Africa, offering an avenue to invest in Sub-Saharan African frontier economies. 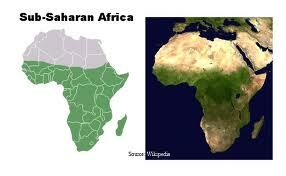 Market Vectors Africa Index ETF (NYSE: AFK) – The Market Vectors Africa Index ETF (AFK) provides exposure to Sub-Saharan Africa frontier markets, as well as economies in northern Africa.. The following are some funds that can be used to invest broadly in frontier markets in many continents and regions of the world, some of which are PIVOTS countries. These funds are suitable for investors that want to expose their portfolios to a wide variety of frontier markets. While investing in frontier markets exposes an investment portfolio to some of the fastest growing economies in the world, there are also risks associated with investing in frontier markets. The risks range from potential internal political turmoil that could put corporate profits and investments in frontier markets at risk to changes in international interest rate policies that could lead to a flight of capital from frontier markets. To diminish the risks associated with investing in frontier markets, it is a good idea to keep exposure to frontier markets within an investment portfolio to a reasonably low percentage of the overall portfolio. 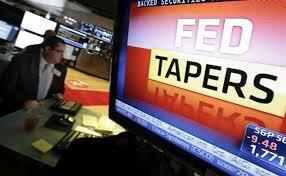 Investing during the Fed taper creates yet another investment challenge, but also many investment opportunities. Outgoing United States Federal Reserve Chairman Ben Bernanke and the Federal Open Market Committee (FOMC) once again surprised many on Wall Street when they announced on December 18, 2013 that they would reduce their quantitative easing (QE) bond buying program by $10 billion per month. They are still going to be buying $75 billion per month in Treasury Bonds and Mortgage Backed Securities until they taper again. However, wise investors need to take a long-range view and assess not only what investments make sense as the Fed tapers, but also investments that make sense once quantitative easing has ended and the Fed starts considering increasing short-term interest rates. The stock market will not only have to contend with no additional quantitative easing stimulus, but will also have to start pricing in short-term interest rate increases by the Fed, which Ben Bernanke projected would start to occur towards the end of 2015. The good news is that the long-awaiting beginning of the Fed’s quantitative easing tapering opens up new investment opportunities and provides some certainty where none existed before. It is important to use the word “some” certainty, because Ben Bernanke made it clear to the investment community that continued tapering is conditioned upon favorable economic trends remaining intact. If they do, he said by the end of 2014 the Fed would be done tapering and the quantitative easing program will have officially ended. Of course, since he is departing and will be replaced by incoming Federal Reserve Chairwoman Janet Yellen, there is some uncertainty regarding whether she may change the Fed’s tapering criteria and make it harder for the Fed to continue tapering, as she is one of the most dovish members of the Fed. Time will tell, but assuming the United States economy remains strong through 2014, it is reasonable to assume that by the end of 2014 the current quantitative easing program will be a thing of the past and the focus will be on future increases in short-term interest rates. 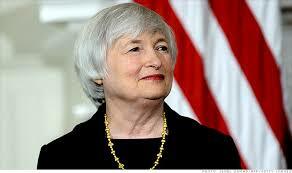 Once the Fed makes a policy change, it usually sticks with it for an extended period of time. If you are still overweighted in bonds or bond funds as a result of the shift to bonds that occurred during and after the 2008 stock market crash, now is the time to considering rebalancing your bond holdings or exiting bond investments altogether. As interest rates rise, bonds lose value. The principal losses for those holding bonds purchased in recent years could be significant when interest rates eventually rise. Moving out of bonds may save you losses, as bonds and bond funds lose value. You can put the money freed up by selling bonds and bond funds to work in other investments, including going short bonds via short-oriented bond Exchange Traded Funds (ETFs). Many investors may not realize that there are ways to make money as interest rates rise and bonds decrease in the value. Short-oriented bond ETFs go up in value as interest rates rise and Treasury Bonds lose value. These ETFs should do well in an environment in which interest rates rise and Treasury Bonds decrease in price, which is likely to occur as the economy strengthens and the market start to price in future increases in short-term interest rates by the Fed. ProShares Short 20+ Year Treasury (NYSE: TBF) – This ETF is designed to achieve daily investment results that are one time the inverse (-1x) of the daily performance of the Barclays U.S. 20+ Year Treasury Bond Index. Direxion Daily 20+ Year Treasury Bear 1X (NYSE: TYBS) – This ETF is designed to achieve daily investment results that are one time the inverse (-1x) of the daily performance of the NYSE 20 Year Plus Treasury Bond Index. iPath US Treasury 10-year Bear ETN (NYSE: DTYS) – This ETF is designed to achieve daily investment results that are one time the inverse (-1x) of the daily performance of the Barclays 10Y US Treasury Futures Targeted Exposure Index. iPath US Treasury Long Bond Bear ETN (NYSE: DLBS) – This ETF is designed to achieve daily investment results that are one time the inverse (-1x) of the daily performance of the Barclays Long Bond US Treasury Futures Targeted Exposure Index. ProShares UltraShort 20+ Year Treasury (NYSE: TBT) – This ETF is designed to achieve daily investment results that are two times the inverse (-2x) of the daily performance of the Barclays U.S. 20+ Year Treasury Bond Index. ProShares UltraPro Short 20+ Year Treasury (NYSE: TTT) – This ETF is designed to achieve daily investment results that are three times the inverse (-3x) of the daily performance of the 20 Treasury Bond ETF. Successful investing during the Fed taper requires focusing on securities and industries that typically do well during an economic upswing. The biggest takeaway from the Fed’s tapering announcement is that the economy is stronger than it has been in years and will likely continue to grow stronger. Stronger economic growth usually means higher stock prices for in stock sectors tied to economic growth. To invest during the Fed taper, focus on stocks that have traditionally done well as the economy picks up in strength. While some analysts might opine that it is too late to buy cyclical stocks that do well during times of strong economic growth, that is probably not the case. The United States economy likely has two or three years of strong economic growth ahead of it before the next recession. 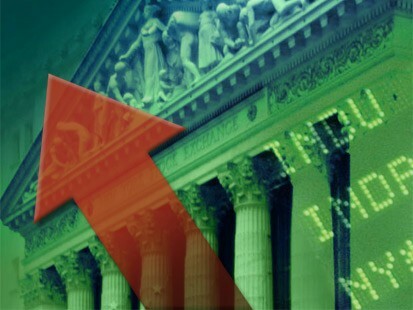 Stocks that traditionally do well during a strong economy, such as companies involved in home renovations and companies that supply materials used in construction, will likely continue to see gains over the coming years, as strong economic growth increases demand for their products. With economic growth expected to accelerate during the second half of 2013 and into 2014, traders and investors that want to outperform the stock market indexes need to understand how to make money as economic growth accelerates. There are certain stock market sectors that have historically done better than the overall stock market as economic growth accelerates. While past investment performance is not a guarantee of future investment results, identifying patterns in the stock market that are correlated to the business cycle and investing accordingly can increase an investor’s chances of beating the stock market averages. 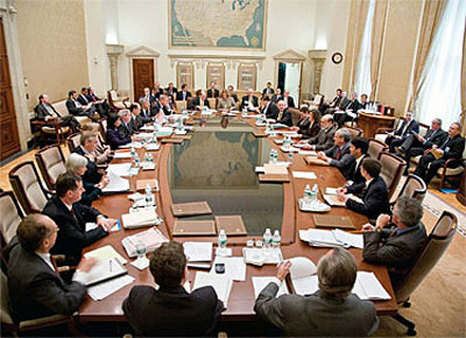 The United States Federal Reserve is expected to begin tapering their Quantitative Easing (QE) program in the fall of 2013. While this is not likely to be a positive for growth as far as stimulus to the economy is concerned, it is an indication that the Federal Reserve believes the economy is strong enough to begin tapering and is ready for a period of accelerated economic growth, which many economists believe will exceed 3% during 2014. Europe is rebounding from a long recession. During the summer of 2013, economic indicators from Europe started to indicate that the over yearlong recession in Europe was finally coming to an end and a period of increasing economic growth is expected for later 2013 and 2014. The combined European Union economy is the largest economy in the world, so if it starts growing, it will help bolster growth elsewhere, including the United States. China is rebounding from an economic slowdown. China was showing signs of faltering growth during the first half of 2013. During the summer of 2013, economic indicators coming from China started to indicate that the pace of economic activity is picking up. China is one of the largest economies and is one of the economic growth engines of the world. Japan is still one of the largest economies in the world. After nearly two decades of being mired in recessions and slow growth, Japan is showing signs of stronger economic growth during 2013, as the Japanese central bank adds stimulus to the Japanese economy and consumers in Japan increase their rate of spending. To make money as economic growth accelerates, it is a good idea to look at stock sectors that traditionally perform well during periods of strong economic growth. This includes energy companies, industrial companies, information technology companies, entertainment companies, and companies that generated revenue from home improvements. The following is a rundown of the sectors that typically outperform during periods of economic growth acceleration, including leading stocks and Exchange Traded Funds (ETFs) in each of the sectors. Energy producers do well during periods of accelerating economy growth because demand for energy products increases as industrial production and employment increases, and energy products often increase in price. An ETF called Vanguard Energy ETF (NYSE: VDE) derives its value from some of the largest energy companies in the world, such as Exxon-Mobil and Schlumberger. Companies involved in industrial production typically outperform as economic growth picks up, due to increasing demand for their products throughout the economy. An ETF called Industrial Select Sector SPDR (NYSE: XLI) is comprised of large industrial manufactures, such as General Electric and United Technologies. Technology companies, also known as the tech sector, typically experience above-average growth as economic growth accelerates. Technology upgrades that were put off during slower periods of economic growth are often implemented as economic growth picks up, increasing demand for products produced by technology companies. Also, consumer spending on technology products increases as economic growth accelerates and consumers have more disposable income. The Technology Select Sector SPDR (NYSE: XLK) ETF offers exposure to large technology companies, such as Apple, Cisco, and IBM. Companies involved in the entertainment industry typically outperform other stock sectors as economic growth picks up. Consumers spend more money on entertainment, as they feel better about their economic prospects and companies in the entertainment industry are the beneficiaries. With companies such as Walt Disney and Starwood Hotels and Resorts, PowerShares Dynamic Leisure & Entertainment Portfolio (NYSE: PEJ) is an ETF that can be used to play the entertainment industry. 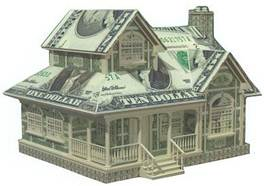 While rising long-term interest rates appear to be increasing the costs of mortgages and putting a damper on the housing recovery, at this stage in an economic recovery home improvement stores and suppliers to the home improvement industry typically outperform the broader stock market, as homeowners use extra money to reinvest in their homes. Investments in home improvement store companies such as Lowe’s (NYSE: LOW) and Home Depot (NYSE: HD) are ways to expose a portfolio to the home improvement industry. While stock traders are accustomed to looking for signs that the tide has turned to sell stock positions they are holding, stock investors may not be accustomed to selling medium-term investments that they are holding. It is important to keep in mind that investments in sectors that outperform as economic growth accelerates should be medium-term investments and not held for an excessive amount of time. There’s no point in riding positions up, as the economy increases in strength, only to see the gains evaporate, as the economic cycle eventually slows and recession takes hold. Stocks typically decrease in price during recessionary times, as corporate profits decrease and a bear market sell-off sets in. If healthy profits can be booked from investments made in sectors that outperform as the economy accelerates, it is a good idea to keep an eye on the outlook for economic growth for signs that a recession may be on the horizon and to book profits.